"Hawaiian" is used to denote someone of Native Hawaiian descent; "Hawaii resident" or "women in Hawaii" would be more appropriate to describe the women in this article. Roman was known as the mother of the Hubble Telescope. This study aims to understand the effectiveness of typical admissions criteria in identifying students who will complete the Physics Ph.D. Multivariate statistical analysis of roughly one in eight physics Ph.D. students from 2000 to 2010 indicates that the traditional admissions metrics of undergraduate grade point average (GPA) and the Graduate Record Examination (GRE) Quantitative, Verbal, and Physics Subject Tests do not predict completion as effectively admissions committees presume. Influenster, the leading product discovery and ratings and reviews platform, is now accepting applications for scholarships that will be awarded to five undergraduate and graduate women pursuing a degree in STEM (science, technology, engineering, math). Roscosmos, the Russians space agency, has announced that it will create a female crew of cosmonauts that will perform duties on the International Space Station and also be trained for future missions to the Moon. 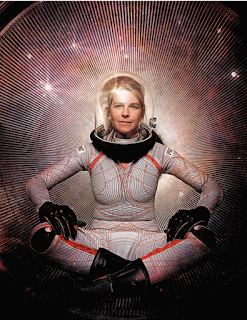 The Orlan spacesuit will be upgraded for women, who are too small to fit in the current sizes. Meanwhile, spacesuits to fit women under 5'5" are being designed by Dava Newman (MIT). "We make them for females because I'm in charge," Newman said.